Climbing plant for dry shelling beans. Medium long pod (17/19 cm), yellow-green with bright red speckles, 6/8 grains inside. 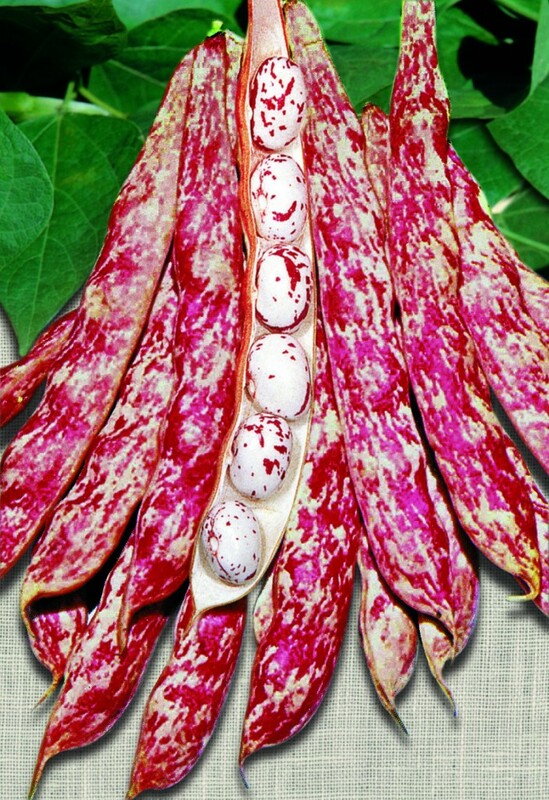 Big seed, oval shape with round section, cream colour with red stripes.